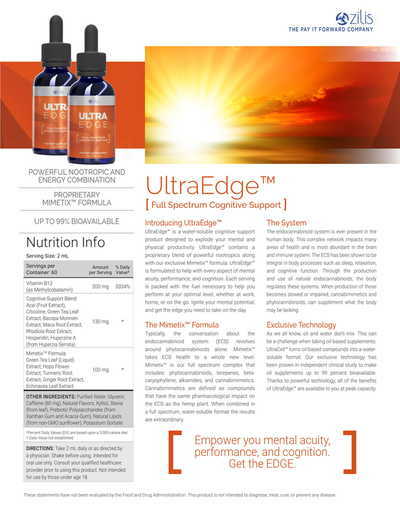 ​Zilis is on the forefront of Endocannbinoid System (ECS) advancements. The three newest additions to the Ultra brand are all hemp free and have very specific ECS enhancement support. 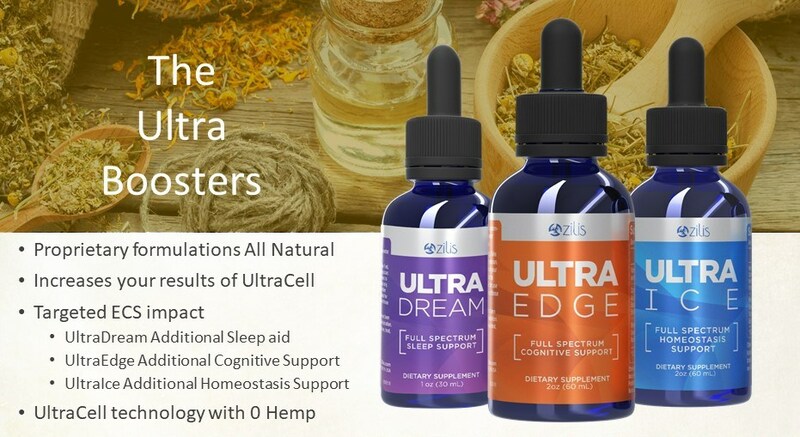 As an Ambassador of Zilis, we are thrilled that we have such amazing proprietary and protected technology behind the amazing products we offer to our customers. The latest additions, have brought forth our latest MimetexTM formulas that are all hemp free but are all organic plant based formulas. 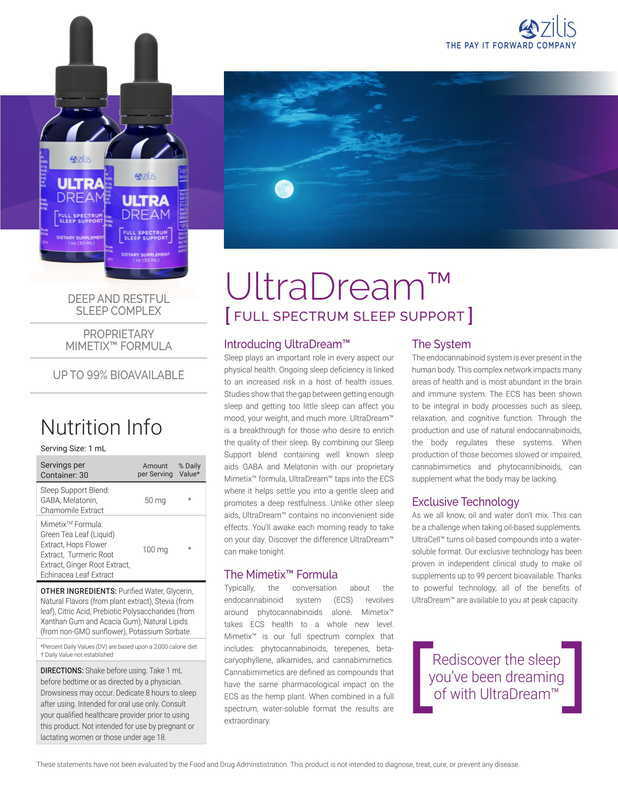 UltraDream supports something most Americans do not get enough of - SLEEP. 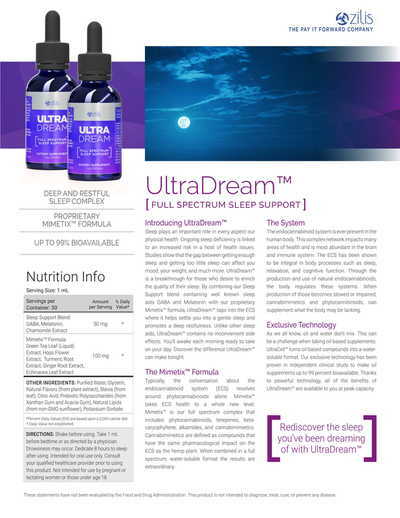 UltraDream supports deep restorative sleep without the "hangover" effect when you wake. Click on the data sheet picture above to see more specifics of UltraDream. 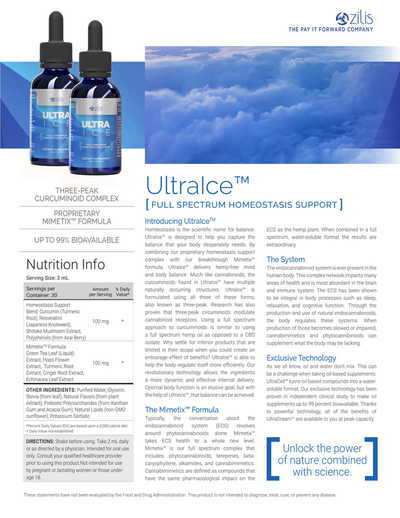 30 Doses only $64.95 or you can get the full 60 dose UltraDream for only $119.95.